Capital Metro's new line was marketed as a Bus Rapid Transit system, but the MetroRapid buses still need tinkering to meet those requirements. Now several months into the project, the line has made hardly a dent in Austin’s traffic problem. Board the fancy new buses at any given time of the day, and rows and rows of sparsely populated seats will likely wait for you. Over the years, Austinites have voted down bond proposals for expensive light rail projects. So when Capital Metro received a federal grant to be funneled to a cheaper alternative, these new rapid buses seemed like the perfect solution. The line is supposed to be what public transportation experts call Bus Rapid Transit, or BRT. If implemented correctly, they work like an above-ground subway system. They can carry more passengers than traditional buses, stop less frequently, extend yellow lights and have dedicated priority lanes. MetroRapid only partially meets these requirements, however. It runs along designated bus-only lanes for just part of the route, from MLK to Cesar Chavez (a bus-only lane it shares with other, non-rapid bus routes). For the rest of the route, the buses drive with mixed traffic. And Todd Hemingson, Capital Metro's Vice President of Planning, says the agency is still working with the city to "optimize transit signal priority," i.e. extending yellow lights, for rapid buses. At any given time of day on the new MetroRapid bus line, rows and rows of sparsely populated seats fill the bus. Critics say rolling out these new buses before the project is complete may be a mistake. When MetroRapid opened, it essentially replaced two routes along the same stretch of road. The new rapid option costs more, with less frequent stops, and as a result ridership on the new rapid option has been weak. Comparing average weekday ridership between those two routes and the MetroRapid route in the spring months between the years 2013 and 2014, ridership has actually fallen 11 percent. Compare that with the rapid bus results in Eugene, Oregon which launched a BRT system called Emerald Express, EmX, in 2007. Ridership there increased by 50 percent within the first month. Tom Schwetz, planning and development manager of EmX, says rolling out a complete rapid bus system at the beginning was one of the crucial factors in creating a successful system. The day EmX was launched, priority lanes were built and designated to the line. And traffic lights were already coordinated with the new buses, Schwetz says. Capital Metro plans to expand the service by adding another route connecting the shopping mall at The Domain and Westgate and moving traditional buses from the Congress corridor to join the MetroRapid line on the Guadalupe-Lavaca corridor. Hemingson says the service needs about two years to mature for a fair critique. But Schwetz of EmX says one of the keys to quick success in Eugene was marketing to younger riders. “Younger generations are not heading into cars like my generation did,” Schwetz says. The American Public Transportation Association reports that nearly 70 percent of Millennials use multiple travel options more than several times a week. Many of them don’t even own a car. Those are the same kinds of people who have flocked to Austin in recent years. Mandell, the bus rider at UT, moved to Austin only a couple of years ago. She says she misses the convenience of a well-oiled transportation system. Transportation experts stress the importance of marketing to young people like 26-year-old Emily Mandell. Hemingson says there’s only so much Capital Metro can do to persuade people to use the service. He says the sprawling nature of Texas’ cities makes public transportation difficult to sell. But there’s another Texas city that has tried to defy those limitations, Dallas. Dallas Area Rapid Transit (DART) has had success in implementing its services, says Morgan Lyons, a DART representative. Annual ridership on their light rail system increased over 30 percent from 2011 to 2013. “If I can give you a trip similar to [a car ride], or maybe it’s a little bit longer but it’s time where you can be efficient – where you can text safely, legally, you can check email, you can read – then I think people will look at that,” Lyons says. In order to get those people interested, he says it’ll take Austin a bit of planning. In Dallas, DART created an intricate web of transportation modes which Lyons says serve different areas throughout the city. Regular buses connect with the city’s light rail line, and residents often ride their bikes to these stops where lines of locker-style bike racks wait for them. Lyons says that as rapid bus service gains more popularity, DART representatives are considering adding the service to their system as well. Mandell, the millennial waiting for her bus in Austin, says she wants something similar to DART’s urban rail here. She’ll likely have to wait for a long time. A bond package to partially fund light rail in Austin will likely go before voters in November, which has faced opposition from transit advocates for not serving a dense enough area or replacing enough car traffic. City officials believe the federal government would cover half of the estimated $1.4 billion cost of the line. Austin would cover the other half, with property tax increases as a result. And even if such a plan passes, it’s not likely the city will have urban rail up and running until the year 2021. *Clarification: This article has been amended to note that Capital Metro launched the MetroRapid bus service on January 26, 2014, not February 2014. 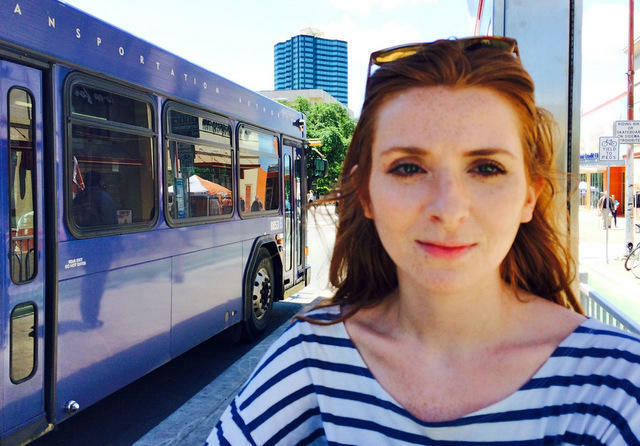 Is Capital Metro's New MetroRapid Service Leaving Bus Riders Behind? Disclaimer: Capital Metro is a sponsor of KUT. 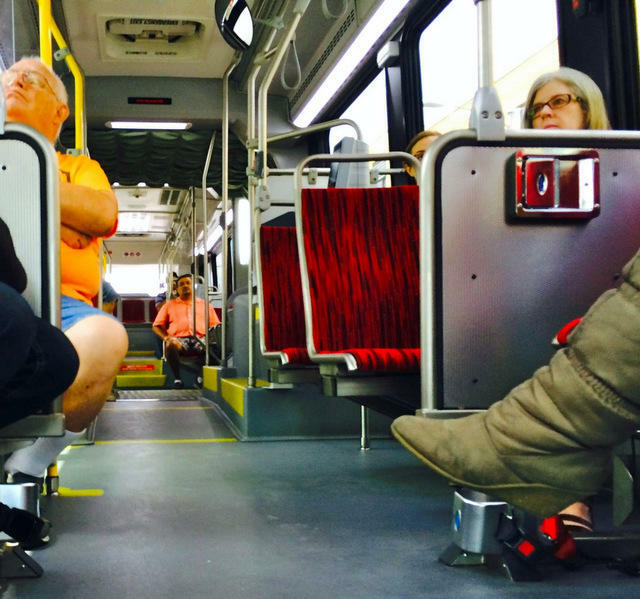 Capital Metro's new MetroRapid bus service launched on Sunday. And with the new route came additional service changes some say give short-shrift to existing riders on Cap Metro's most popular lines.